Wearing a wristwatch, WW2. Guesses on the location welcome. From the military’s attire, my guess is North Africa, 1944 or 1942. 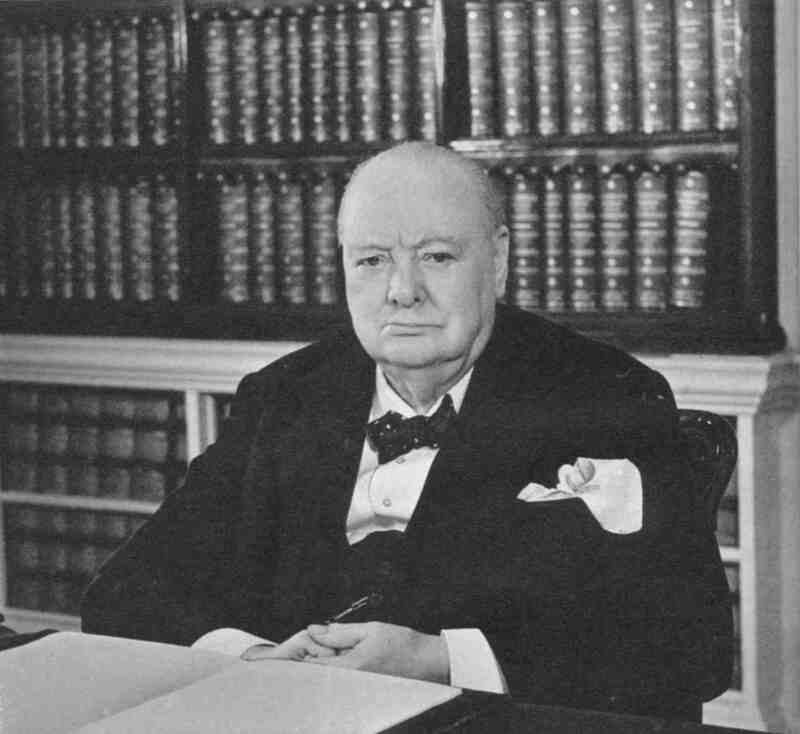 ​From the 1890s until the end of his life Churchill car­ried his father’s pock­et watch, nick­named “The ​Turnip.” He did how­ev­er some­times wear a wrist­watch, as the above pho­to shows. N.B. 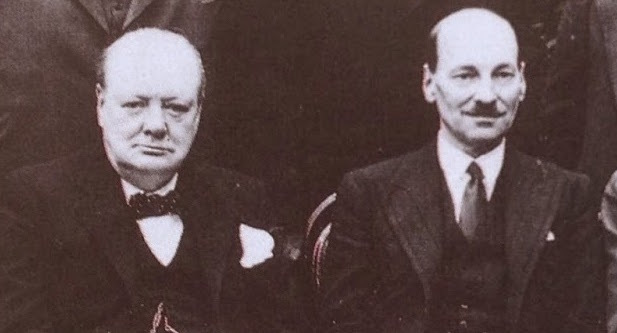 : This is a revised, extend­ed ver­sion of a 2009 post, which I have left up for the com­ments by read­ers: click here. Photograph by Walter Stoneman, 1940. 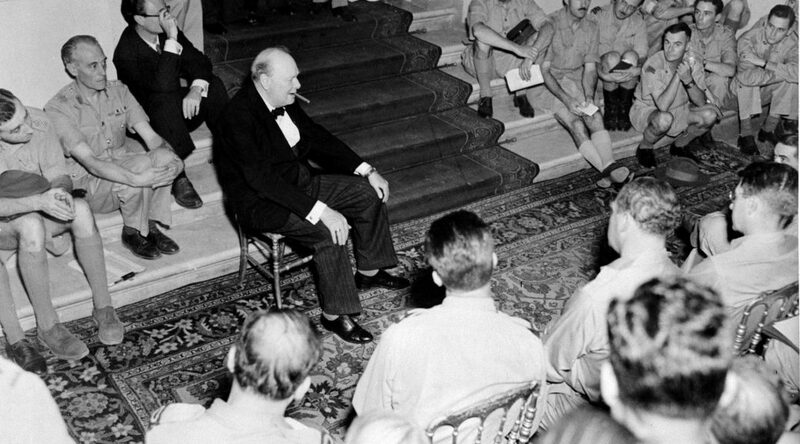 At a time when Churchill is under vio­lent and irra­tional attack, it is time for a ton­ic. One good anti­dote to it all is an elo­quent essay by Simon Schama.